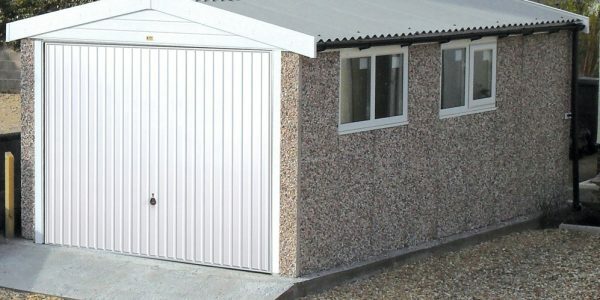 The Apex pitched roof garage is a traditionally shaped concrete garage with a 12.5° pitched roof, designed to blend with most housing styles and incorporates our thicker concrete panel, stronger fibre cement roof sheets and a unique roof design. 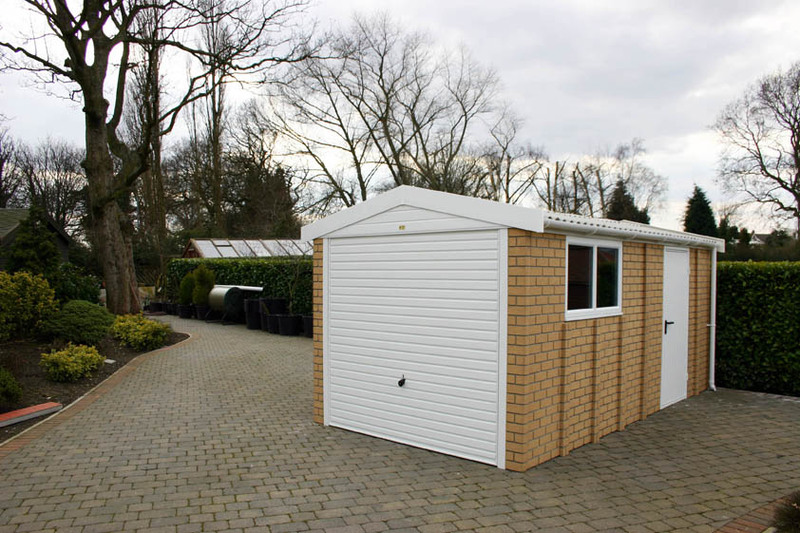 You can choose from a further six roof colours, to blend in with your property. A translucent roof sheet is available that will let in natural daylight, although we can supply lining clip packs so you can fix a board for your electrical fittings if you want to install electricity. 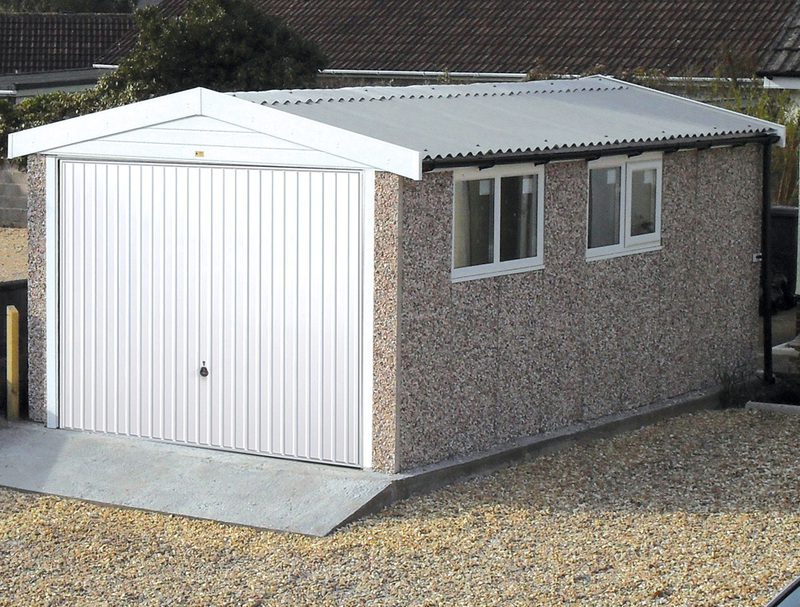 The Apex prefab concrete garage range is our most flexible, offering the biggest number of sizes and options. 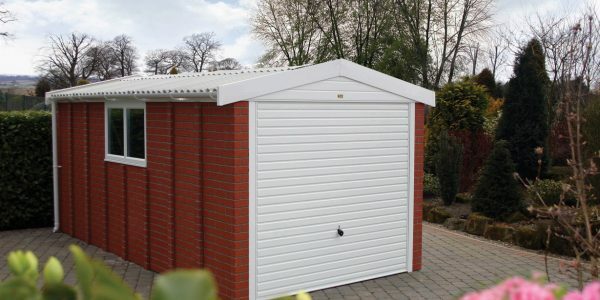 Make of your Apex what you will; garage, store, workshop, garden room, gym, music room, or a combination by adding a room to the rear of your garage. The opportunity to enhance your building with Special Package Offer Maintenance Free (MF) and Premium Options (PO) also enables you to save money and time! 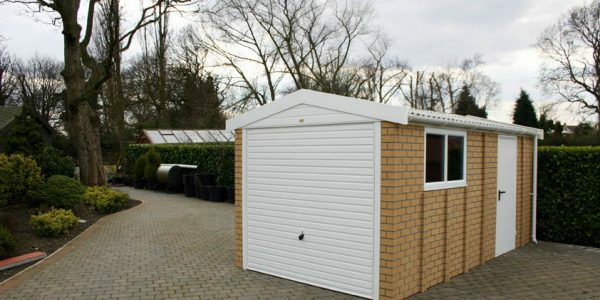 And the full range of Bespoke Options ensures that you will be able to create the right building for you. 14′ 3″ (4.34m) to as long as you want. In 2′ (0.61m) increments as standard. Partition available. The following are supplied as standard. Many more Bespoke Options are available. Thicker concrete steel reinforced panels with Spar finish. 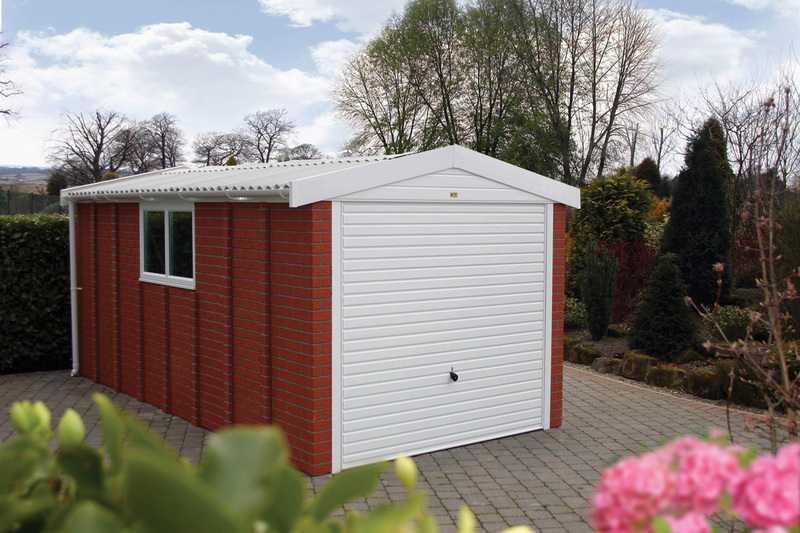 Pre-framed, fully retractable, white powder coated galvanised steel, Horizontal ribbed up and over door. 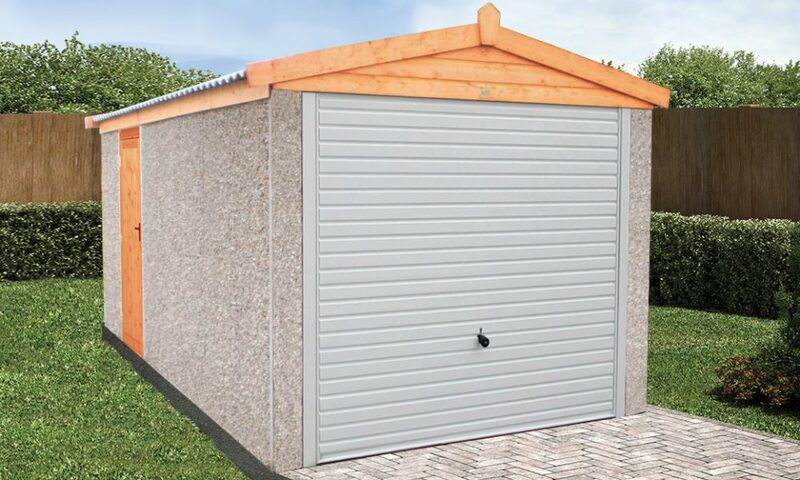 12.5° pitch roof with fibre cement roof sheets, eaves filler. 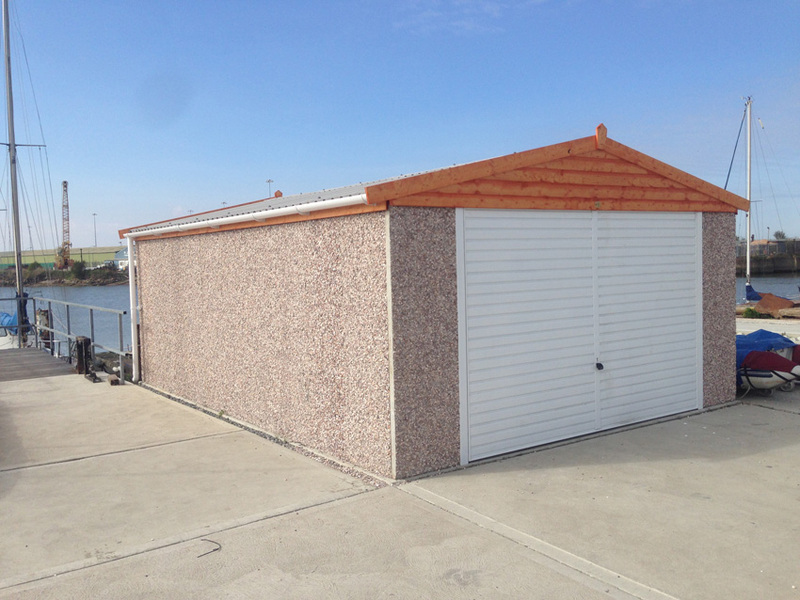 4′ (1.22m) timber fixed factory preservative treated. 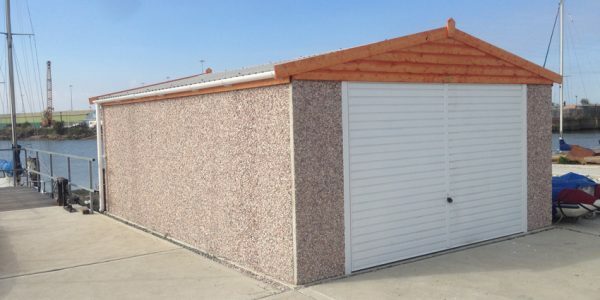 You can also choose from a wide selection of materials and colours, so your prefab concrete garage will match your existing house or surroundings.